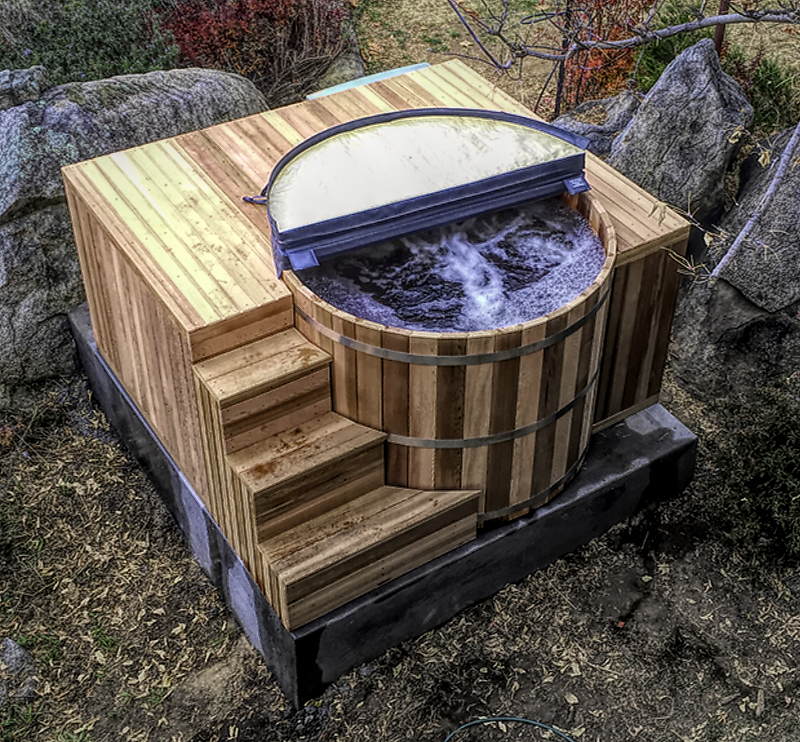 ​​Cedar hot tub with 1.4kW heat pump producing up to 5.5kW heating capacity. 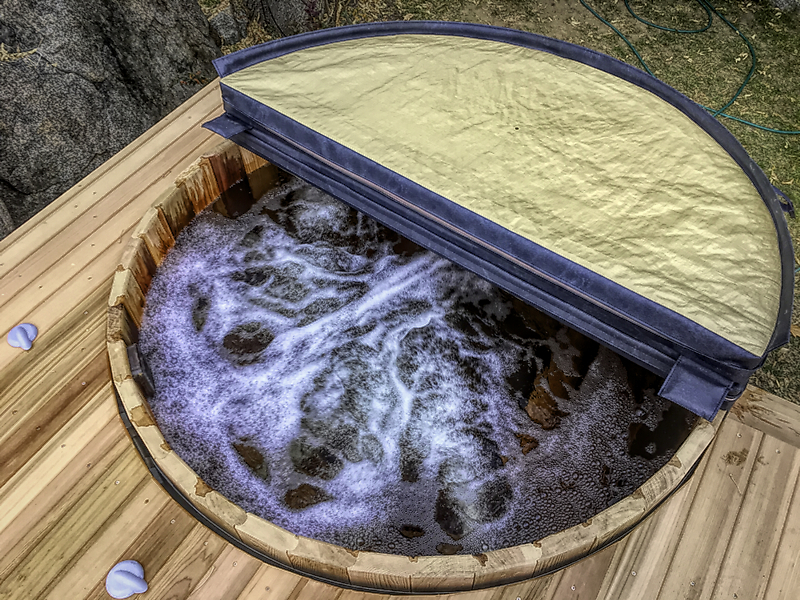 These tubs come complete with modern touchpad controls and air jets. 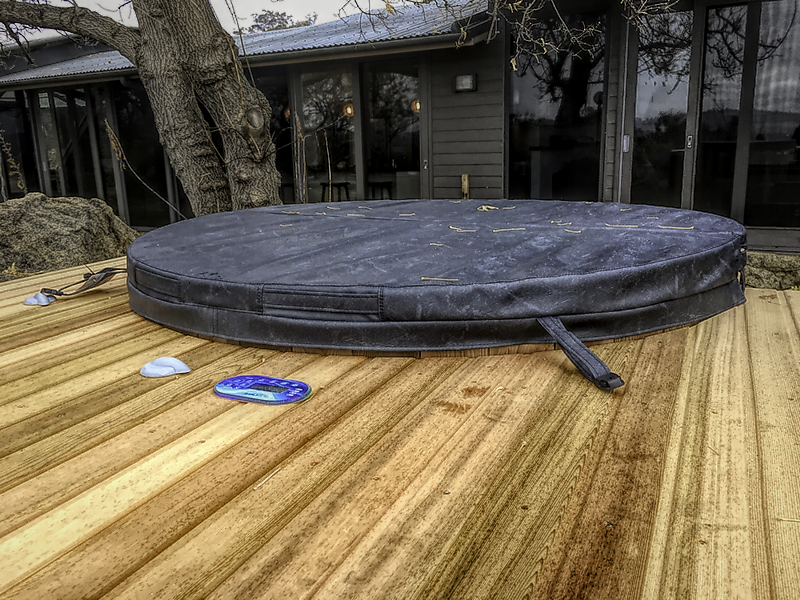 Added benefit of demand cooling during warmer months. 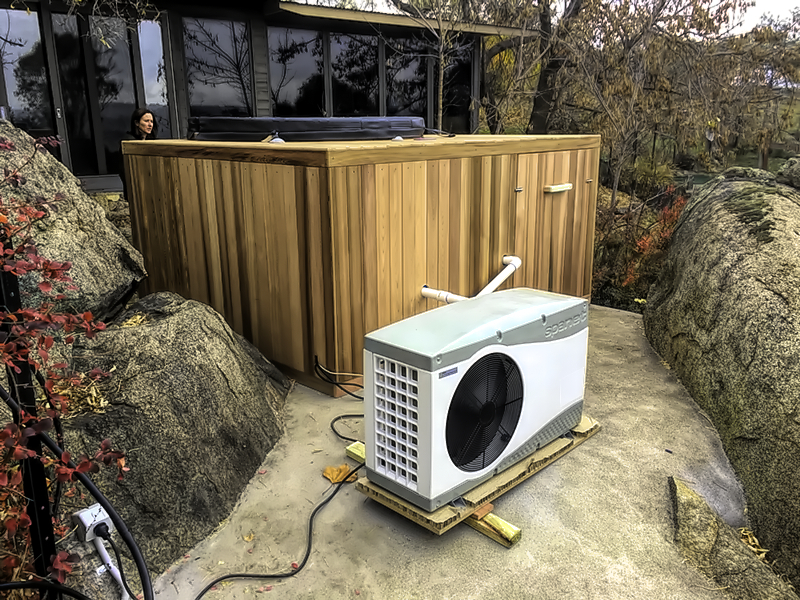 ​​The heatpump is very economical to run but requires more space for installation. 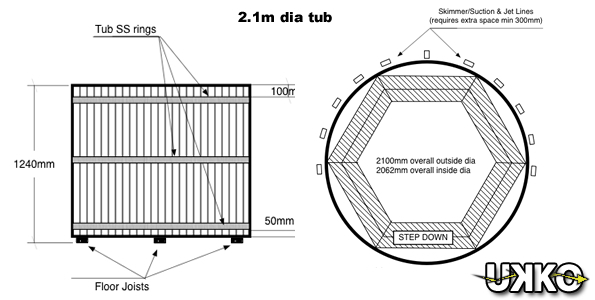 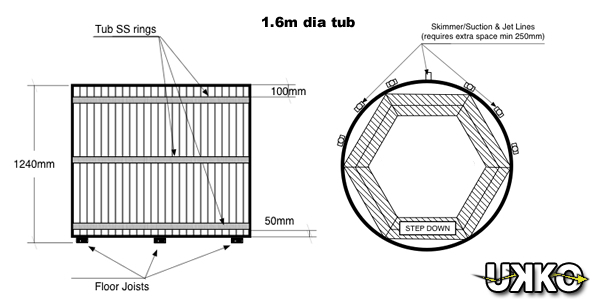 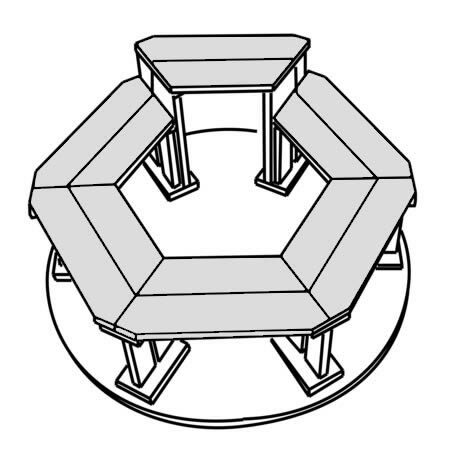 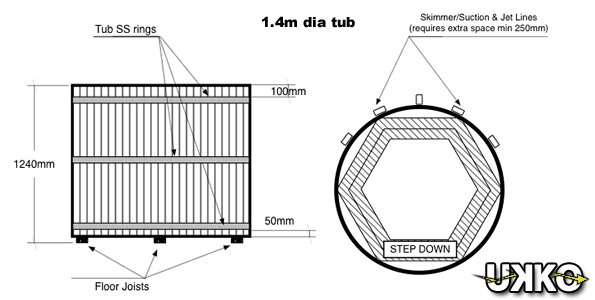 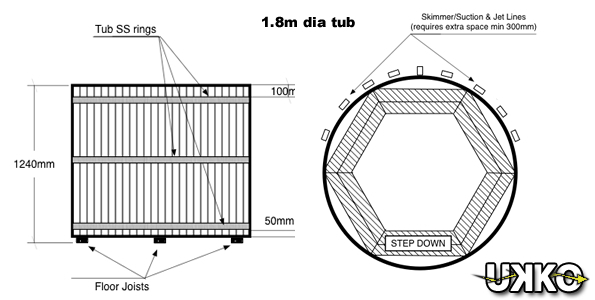 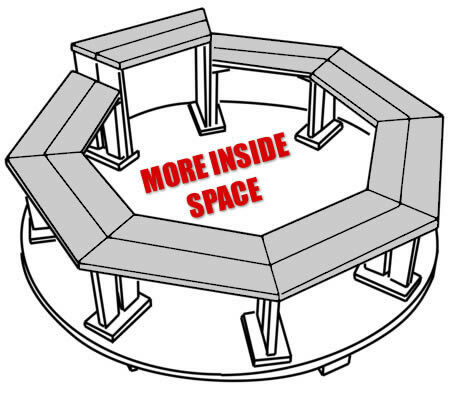 Refer to “Hot tub building configurations” for more information.